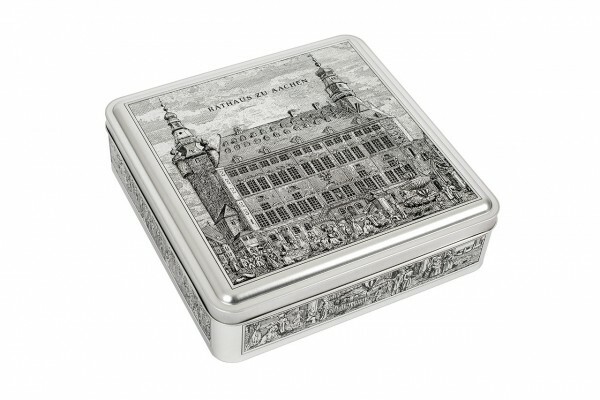 The KLANN Aachen box is made from high-class tinplate and impresses with its sophisticated embossing of historical motifs. It enthrals with its high embossing craftmanship and has a multi-purpose usage. Related links to "Aachen box"
Customer evaluation for "Aachen box"